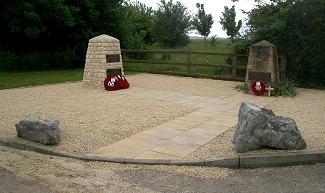 The pictures below show the former RAF Blakehill Farm airfield, near Cricklade, on 06 June 2004 - exactly 60 years since it played such a massive part in the D-Day landings. Once a hive of activity during the war years and until 1952, only a memorial to the base's crucial contribution and sacrifice during the Allied invasion and Arnhem operation, plus a couple of original buildings, remain. 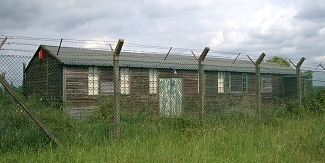 During the Second World War there were more than 500 structures including aircraft hangars, barrack blocks and medical centres dispersed around the site and immediate countryside. 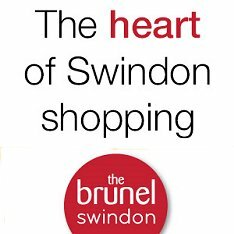 Unfortunately, some structures, such as the Second World War ‘Blister’ aircraft hangars and the control tower, are now classified as ‘extinct’. 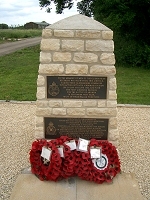 Blakehill was the base for two RAF squadrons and was one of the eight airfields from which planes flew directly to Normandy on the night of 5th June, 1944 when Dakotas towed glider troops aiming for Pegaus Bridge. 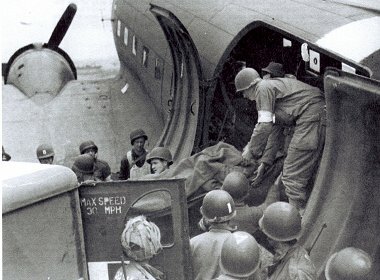 It was also to record two notable firsts in the coming days and months. 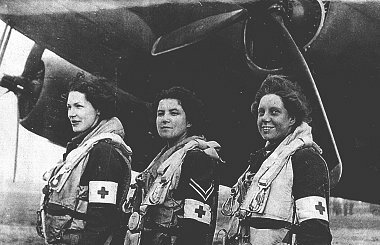 Blakehill-stationed nurses who looked after wounded soldiers on returning flights became the first female RAF aircrew to fly into the combat zone, while a Dakota from Blakehill's No. 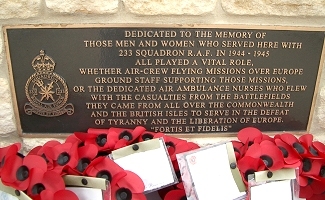 233 Squadron became the first aircraft to land at a British-controlled airstrip in France after the invasion, touching down on 13th June. 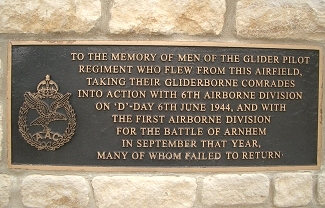 In September 1944, the base was also used used to launch gliders carrying troops from the 1st Airborne Division (see plaque below) on their way to Arnhem for Operation Market Garden - the failed attempt to capture key bridges across the Rhine river. 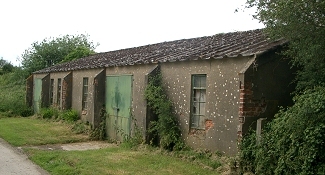 More recently, RAF Blakehill Farm was used by GCHQ for a number of radio trials throughout the late 1970s and a 1960s Royal Observer Corps underground observation post, which is now owned by Wiltshire Wildlife Trust, is being considered as a bat haven. 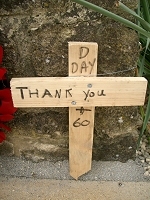 These pictures were taken on 6 June 2004 - the 60th anniversary of D-Day. 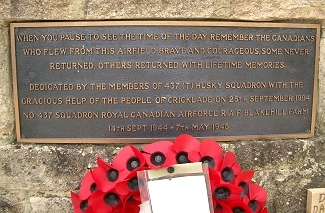 More information on RAF Blakehill's history including a booklet for sale can be found at the Cricklade museum (see link below).